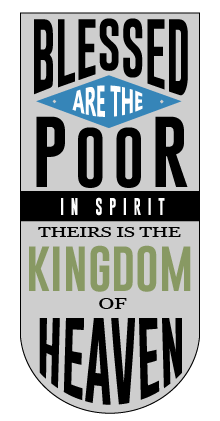 Luke 6:17, 20-26: Note: The whole Gospel is Jesus teaching the Beatitudes. Extend courtesy to a driver who cuts you off. Listen attentively to someone who disagrees with you. Accept a decision with which you don’t agree. Be kind when faced with rudeness. Allow someone to go ahead of you in line at a store. Ignatius Loyola was on his way to military fame and fortune when a cannon ball shattered his leg. Because there were no books of romance on hand during his convalescence, Ignatius whiled away the time reading a life of Christ and lives of the saints. His conscience was deeply touched, and a long, painful turning to Christ began. After a period of great peace of mind, he went through a harrowing trial of scruples. There was no comfort in anything—prayer, fasting, sacraments, penance. At length, his peace of mind returned. 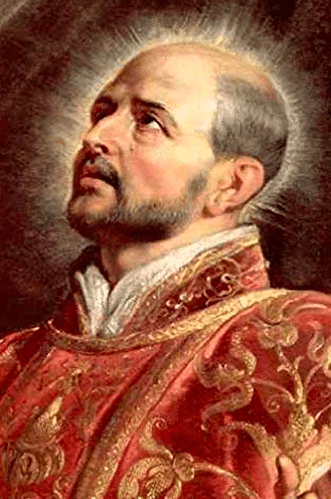 It was during this year of conversion of heart and spirit that Ignatius began to write down material that later became his greatest work, the Spiritual Exercises. He is founder of the Society of Jesus, called the Jesuits.